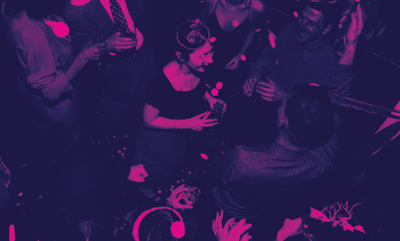 New Year’s Eve provides us with an annual excuse to party, to celebrate the year’s accomplishments and to close the book on any recent pitfalls. The excitement of the evening builds to the stroke of midnight, when smiles and cheers erupt and the fireworks begin signaling a new year has arrived. Whether you choose to celebrate with glamor and romance, or casually with a group of your best friends, New Year’s Eve offers an opportunity to go all out with your look, your wardrobe and your choices for food and fun. How to prep, what to wear and finishing touches begin our guide to celebrating New Year’s Eve, while where to eat and what to do round out the guide with impressive destinations and activities. From cashmere sweaters to cork-popping parties, here’s what you need to know! On a night with late hours and potentially a lot of moving around, celebrations on New Year’s Eve can demand much from our bodies. Not only that, but it’s a night for presenting your most glamorous self. Prepping for the excitement can mean everything from relaxing self-pampering to enhancing our youthful glow. Located in Mid-City, Woodhouse Day Spa offers a high-end, award-winning full service spa with female and male locker rooms featuring rainfall showers and relaxation rooms where guests can sip a complementary beverage. Bookable online, their extensive services include massage, body treatments, skin care, waxing and nail services. Owner Stuart Rome recommends the new Himalayan warm salt stone massage as a great way to relax the body prior to the thrill of New Year’s Eve. “We use 100 percent pure Himalayan salt stones mined in Pakistan. The stones are warmed and used on the body along with essential oils. It is the most relaxing massage I’ve ever had,” says Rome. Rome also recommends Woodhouse Day Spa’s facials and body treatments, including the Organic Seaweed Leaf Wrap, which uses fresh leaves of Atlantic seaweed to detoxify, moisturize, soften and revive the body. “You may need this one after New Year’s Eve!” he says. For professional makeup and skincare services, About Face of New Orleans in Old Metairie aims to help customers create the “look” right for them, whether that be subtle touches or going all out. For New Year’s Eve, Makeup Artist Paula Mora is all about lash extensions. With different lengths and thicknesses, lash extensions can be tailored to the look you desire. “They provide a glamorous, must-have look without having to apply mascara,” says Mora, who loves the all-day awakened look extensions provide. Leading up to New Year’s Eve, Mora also recommends dermaplaning as a simple, safe treatment for exfoliating the outer layer of skin and removing the fine vellus hair most often called “peach fuzz.” While not recommended for active acneic conditions, dermaplaning is helpful for improving rough, dry skin, superficial hyperpigmentation, mild acne scarring and fine lines and wrinkles. “Your skin will be baby soft and makeup will appear airbrushed,” says Mora. Maintenance treatments are recommended every four to six weeks, and you can alternate with chemical peels for maximum benefits. Facial plastic surgeons present another option for improving the look, and whether you’re looking to achieve dramatic results with surgery or explore less invasive improvements, Dr. Sean Weiss of Facial Plastic Surgery offers a full array of cosmetic facial procedures and treatments from Botox injections to face and neck lift surgery. Many procedures can be performed in the office under local anesthesia. For New Year’s Eve, Dr. Weiss recommends lip enhancement using the popular product Juvederm Volbella XC, an injectable filling agent specifically designed to smooth the lines around the mouth and plump the lips for a softer, more youthful look and feel. “It is a must-do to prepare for the midnight kiss on New Year’s Eve,” says Dr. Weiss. “The results are immediate, and aside from mild swelling, there’s essentially no downtime. ​This procedure can certainly be done before New Year’s Eve and ​results can be enjoyed for months,” he says. Led by two board-certified, Tulane-trained dermatologists, Être Cosmetic Dermatology and Laser Center is another option in aesthetics for local men and women, specializing in high-end cosmetic dermatology and cosmetic surgery in a spa-like setting in the Lower Garden District. Combined, Dr. Lisa Donofrio and Dr. Kyle Coleman have more than 30 years of experience in dermatology and cosmetic surgery. For a skin brightening and smoothing treatment that can be done right before an event, Dr. Lisa Donofrio recommends the Silk Peel Vitamin C Brightening and Hydrating treatment. “Results of smoother, softer skin are immediate with improvement in skin brightness and fine lines with repeated sessions. It’s our ‘red carpet-ready’ treatment,” says Dr. Donofrio. With New Orleans’ fickle weather, it’s hard to say whether it’ll be chilly or mild, but fortunately, local boutiques know how to solve any weather mystery with style and class. From black-tie affairs to riverfront fireworks with friends, every event calls for its own fashionable twist. Ron Jones, Store Manager at Old Metairie’s FeBe, always has a finger on the pulse of what’s hot. According to Jones, casual trends this season include cropped flare jeans, especially with distressed details like small rips and an unfinished hem. He adds that the sneaker trend continues to grow with increasing design options in new materials, such as velvet and satin. “We have seen a lot of velvet this season in tops, jeans and dresses,” says Jones. “For a romantic dinner, we have a beautiful sleeveless turtleneck velvet dress that skims the body in a dark charcoal. For a fun night out, we love a velvet flare jean paired with a delicately embellished top,” he says. Why the draw to velvet? It is simultaneously glamorous, soft and comfortable. The emergence of velvet is also noted by Sanja Alickovic, Owner of Magazine Street’s Haute. She sees a rise in rich textures as well as bright colors for winter. Alongside velvet, Haute features items like chunky knits by Michelle Mason and rich textures and prints by Mara Hoffman. Whether a fur vest or a dark floral pattern, the season’s trends are eye-catching and dramatic. Regarding New Year’s Eve, “This is the night to go bright! Sparkle and more sparkle!” says Alickovic. For a sparkly, sequin-embellished top, Haute recommends a stunning blouse by Velvet. A store known for its rich patterns, Trashy Diva continues to make waves with its prints this season. Along with the Fresco Floral collection, Hall names a number of other great Trashy Diva options for New Year’s Eve wear, from a classic little black dress to the store’s Ribbed Rayon collection, which features both lightly beaded dresses and structured coat dresses. Next to Trashy Diva Dress at 2048 Magazine St. is Trashy Diva Lingerie (2044 Magazine St.), for those who want as much glamor in their New Year’s Eve undergarments as they do their wardrobe. At Elizabeth’s, Owner and Buyer Sal Trentacoste sees a big trend in shoulder interest, whether a top or dress with a bare or off-the-shoulders look, or flashing a cold shoulder. For casual or slightly dressy occasions, he recommends a silk top with baring shoulders, which could be complemented by a ruffled sleeve. He recommends pairing the top with a cigarette or tuxedo pant, or possibly skinny or boot cut jeans for a more casual look. Those looking to go dressier will see a lot of metallic embellishments this year, as gold regains its popularity. A longstanding fashion cornerstone in New Orleans, Yvonne LaFleur offers clothing for any occasion, from custom hats and lingerie to professional wear and formals. The store’s famous proprietress recommends handling New Orleans’ unpredictable New Year’s Eve weather by layering, which allows you to remove or add as the night’s temperatures – both indoor and outdoor – ebb and flow. Pairing a longer top with a cigarette or fitted pant enhances the layered look. Cashmere is always popular at the boutique as a luxurious and smooth fabric for sweaters, thin pieces, scarves and ponchos. Acccording to LaFleur, the focus on New Year’s Eve should be what will be seen “above the table,” especially if a romantic dinner is in the cards. If you’re going with a sleeveless dress or top but want to add warmth, the boutique offers Sleevey Wonders, which can transform your sleeveless top or dress with a variety of styles, including off-the-shoulder, colors and materials such as lace and mesh. Nothing completes an outfit like the perfect pair of shoes. Or is it rather a magnificent jewelry statement piece? What about an outfit-enhancing scarf or vest? Handbags can also bring their own sparkle or shine. Accessories play a big part in finishing one’s look, and local boutiques can help sort out the best pieces for New Year’s Eve. At Feet First, shoes are obviously top priority, but you can also find locally designed jewelry as well as clothing. In footwear, Feet First staff are particularly excited about the Matisse collection, a “must-have for this coming winter,” says Sales Associate Rayanna Sicard. Loved for their versatility, the Matisse collection ranges from a new take on a cowboy boot, to a fun print ankle bootie, to a fringe ankle boot. According to Sicard, the Matisse Nugent in Dalmatian or cheetah print pairs well with either jeans or a simple dress. Belts are often an underemphasized accessory, but one that can completely alter the effect of a long top, dress or pants. Bella Bella offers a selection of belts by B-Low the Belt that General Manager and Buyer Ashley Thibaut loves. The genuine leather “Bri Bri” and “Baby Bri Bri” belts should be on every trendsetter’s Christmas list this year, says Thibaut. Calling them “splurge-worthy,” she adds that the belts come in a variety of colors, and can be worn at the waist or hips to instantly improve an outfit. When it comes to fashion trends, Thibaut agrees that the 1990s are definitely back this holiday season. “The major accessory that has come out with this trend is the choker necklace. We have been re-stocking chokers like crazy! I like to wear mine layered with multiple necklaces in varying lengths,” she says. Bella Bella’s chokers come in a variety of colors and materials such as faux leather, suede and velvet. With a newly opened second location, Queork has brought its eco-friendly and stylish, leather-like gifts and accessories to Magazine Street. Men can get in on the New Year’s Eve fashion fun with items such as Queork’s popular Cork Bow-Tie and the Cork Fedora. The Men’s Classic Cork Oxford in black are versatile and complement well both dressy and casual outfits. For women, Sales Manager Amy Dailey loves the Jazzy Clutch in tiger stripe and the Lightweight Teardrop cork earrings for striking New Year’s Eve accessories. Dailey sees a few changing trends this winter in bags, with fringe, saddlebag shapes and braided straps becoming more prominent. “We are obsessed with the darker color of our Natural Cork. It is a unique rich chestnut color that goes with our nod this season to the equestrian inspired handbag,” says Dailey. Speaking of cork, New Year’s Eve is a night for popping it, and wine lovers headed for a night out will love the newest addition at Ballin’s LTD. On a recent trip out west, Accessory and Shoe Buyer Karen Johnston picked up some limited edition cashmere and silk shawls hand-painted from two Wine Country artists from Healdsburg, California. Additionally, Ballin’s is excited to offers one-of-a-kind shawls in silk and hand spun wool designs from an exceptional Danish artist. According to Johnston, the artist shawls are growing increasingly popular as New Orleans shoppers value wearable works of art. Johnston also recommends beautiful evening bags from Ballin’s for your New Year’s Eve night out. Similar to the chainmail construction of the 1920s, these bags feature Swarovski crystals. “So beautiful, you only need the matching earring to complete your outfit!” says Johnston. For warmth, cashmere wraps are popular at Magazine Street’s Clover, where Owner Melissa Coleman loves its utility and versatility. Soft, warm and elegant, cashmere wraps work with any outfit. Perhaps the perfect accessory for New Year’s Day, when you’re headed to football parties and other gatherings after a boozy and bubbly late night, sunglasses are a must-have for navigating the daylight of January 1. Clover is excited to be bringing in two lines completely exclusive to the store. Stop in to Clover to learn more, and you might just catch the store’s popular after-Christmas sale. A big part of any celebration is the food, and dining is as festive on New Year’s Eve as the midnight toast. Dining options are plentiful across New Orleans, especially in the French Quarter, where flocks of locals and visitors choose to spend the year’s final countdown. Whether you’re looking to stop in for a glass of champagne or arrange reservations for a memorable meal, Brennan’s is known as an iconic celebratory establishment. On New Year’s Eve, Brennan’s will extend its Bubbles at Brennan’s Happy Hour in The Roost from 2 p.m. up until midnight. The popular happy hour features deeply discounted bottles of champagne as well as seven sparkling cocktails from the bar for $7. Brennan’s will offer its à la carte dinner menu on the holiday. Flaming desserts and drinks add a special pageantry to holiday celebrations and are also a top choice at nearby Arnaud’s. Along with bananas Foster, the restaurant’s famous café brûlot offers a spiced and spirited take on the after-dinner digestive, which very well may help fuel you to midnight. Other warm cocktails for a chilly night include Chris Hannah’s seasonal favorites like the Dickens’ Toddy, Tom and Jerry and hot buttered rums. Diners who stay through midnight receive fun accessories for ringing in the New Year. “Arnaud’s offers a festive environment for guests looking for a romantic evening in our main dining room or to be entertained by our jazz trio in the Jazz Bistro,” says Co-Proprietor Katy Casbarian. “Once dinner is over, the party really gets started in the French 75 Bar, with revelers indulging in our famed champagne-centric French 75 cocktails, perfect for celebrating the New Year,” she says. At Bayona, Proprietor Regina Keever welcomes guests to ring in the New Year in the restaurant’s newly re-landscaped and secluded French Quarter courtyard. Helmed by Executive Chef Susan Spicer and Chef de Cuisine Eason Barksdale, Bayona features a menu inspired from global flavors that elevates local and seasonal ingredients with a masterful palate. “New Year’s Eve revelers can count on the intimately sophisticated charm of Bayona, with a little bit of extra holiday magic,” says Keever. Bayona will celebrate the holiday with a four-course pre-fix menu for $100, which includes an appetizer and a soup, salad or light pasta dish followed by an entrée and special dessert hand-crafted from Bayona’s bakery. Each patron will choose from a varied selection of dishes, including vegetarian options. Previous menus have included items such as a duck confit cake appetizer, linguini with uni cream, smoked pork osso bucco and strawberry sorbet with a champagne float and strawberry macaroons. Also a globally inspired restaurant, Chais Delachaise offers a similar approach to New Year’s Eve dining in the Riverbend area on Maple Street. According to Proprietor Trace Hayes, Chais Delachaise will offer a multi-course pre-fix menu with wine pairings in addition to its seasonal dinner menu. Diners can expect a warm yet lively atmosphere from the quaint neighborhood wine bistro, ideal for dates and dinners with friends. With its New Year’s Eve menu, Chais Delachaise welcomes guests to take a trip around the world with each course reflecting the flavors of countries such as Peru, Iceland, France and Malaysia. Naturally, each course will feature a complementing wine. Dickie Brennan & Co. welcome New Year’s Eve foodies to Palace Café’s Black Duck for a flavorful start to the night. The second-floor bar offers a sophisticated watering hole with an expansive collection of rum, craft cocktails, wine and local brews. Chef Rene Bajeux heads the restaurant’s charcuterie program, and shared plates are “a must,” says Marketing Manager Wesley Janssen. If you’re looking to get even closer to the downtown fireworks, Janssen recommends a stop into Jackson Square’s Tableau, where you can choose from a variety of settings including a full dinner in an elegant dining room or cocktails and snacks at the Drawing Room bar adjacent to their Jackson Square balcony. If a restaurant or bar isn’t your idea of a New Year’s Eve final destination, there are also plenty of ways to make the night memorable with lively activities and events. Plan ahead for ticketed events, and eliminate the last-minute guessing game of where to go and what to do. Fireworks fans may be attracted to the riverfront, where the The Paddlewheeler Creole Queen offers an exceptional viewing opportunity complete with a feast of hors d’oeuvres, open call-brand bar and a champagne toast at midnight. “Grab a front row seat to the fireworks display over the river on our upper deck to ring in the New Year, and then dance 2016 away to the musical stylings of our fabulous live entertainment,” says Digital Marketing Director Lydia Mulero. There is no dress code for the cruise, but celebratory, festive outfits are encouraged. The annual New Year’s Eve Fireworks Cruise runs 11 p.m.-1 a.m. Tickets may be purchased online in advance and run $159 (all-inclusive and tax included). If you prefer inland fun, the Fair Grounds Race Course & Slots will be full of excitement on New Year’s Eve as thoroughbred racing takes over the course and thrill-seekers hedge their bets. First post is 1:25 p.m., and according to Scott Hosen, the Fair Grounds typically hosts about 10 races that end around 6 p.m., giving you plenty of time to enjoy the afternoon and make plans for evening fun on the town or quieter arrangements at home. On New Year’s Eve, the first 1,000 customers will receive holiday-themed hats and tiaras. Clubhouse admission runs $10, and General Admission is free for floors one through three. If you’re still seeking thrills beyond the races or feeling extra lucky, the Fair Grounds Casino offers over 625 slot machines and is open December 31, 10 a.m. until midnight. If boats and bets don’t thrill you, consider a lot of laughs to fill your night. The wildly popular Amy Schumer brings her amusing observations and knack for satire to New Orleans with a tour stop on New Year’s Eve at the Smoothie King Center. As the first female comedian to sell out Madison Square Garden, Schumer is a trailblazer in entertainment as a comedian, actress, writer, producer, and director. She is most known for her award-winning show on Comedy Central, “Inside Amy Schumer.” The New Year’s Eve New Orleans performance takes place at 8 p.m. on December 31, and tickets are available at the Smoothie King Center box office as well as online at Ticketmaster.com. Parents with young children may have to approach the holiday a bit differently, and the Louisiana Children’s Museum is here to help with an opportunity for families to celebrate together at a much more decent hour than the holiday’s traditional midnight culmination. At the museum’s annual “Countdown to NOON,” guests make noisemakers, create festive paper bag party hats, and enjoy the sounds of the Blu Kru Brass Band. The famous 12 p.m. countdown to 2017 culminates with a colorful confetti toss and balloon release that fills the atrium. “The Louisiana Children’s Museum will be bursting with fun, colorful balloons and confetti, too – all at the stroke of noon! The annual New Year’s Eve event is a memorable way for the entire family to ring in the New Year,” says CEO Julia Bland. The early countdown is also a way to celebrate with the kids while reserving the evening for more adult-centered fun. Or, it offers a chance to celebrate and still honor your usual bedtime – it’s your end to the year, who are we to judge?